WHEN assessing Moonshine Linda’s prospects ahead of Saturday night’s New South Wales Trotters’ Oaks it is best to forget she raced last weekend. That’s the call from trainer Neville Pangrazio after Moonshine Linda finished towards the tail of the field at Shepparton. “She was a little under done, but the main issue was she has had some trouble with her teeth,” Pangrazio said. “So it’s reasonable to say it contributed to her run. “She threw her head on the side in the straight and raced roughly, but Gavin (Lang, driver) kept nursing her along. “I’ve had her teeth fix and when she worked this morning she was feeling a lot better. Last season’s Vicbred Super Series champion, Moonshine Linda had won her three starts this preparation before her “hiccup’. With the daughter of Majestic Son expected to begin from barrier three in the Group One, Pangrazio is confident his stable star can return to the winners’ circle at Tabcorp Park Menangle. “It’s a good draw,” Pangrazio said. “She drawn four, but will probably move one closer when the emergency comes out. 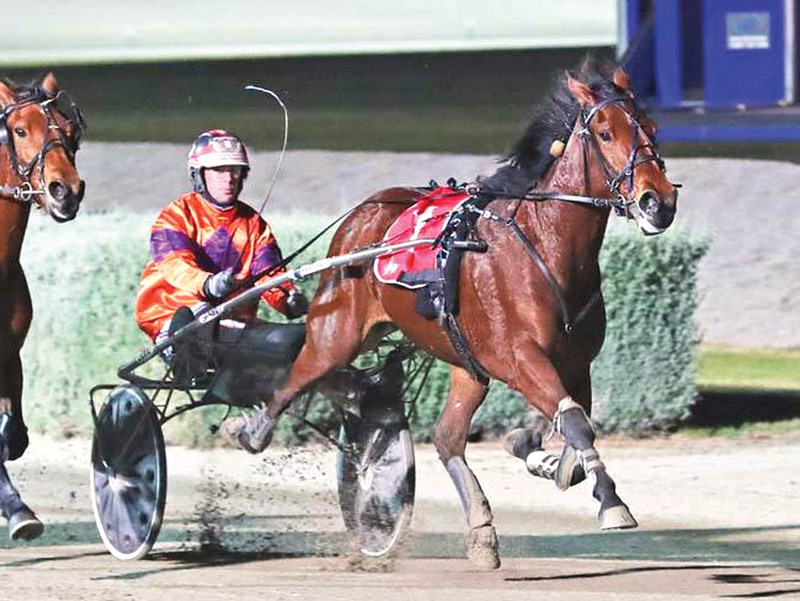 Following this weekend’s engagement Moonshine Linda will be aimed at several majors, including the Victoria Trotters’ Oaks, Breeders’ Crown and her Vicbred title defence.